I believe that most people should probably debate between the MBNA Smart Cash card (no annual fee) and one of the 3 World Elite cards, the MBNA World Elite being what I carry. Up until September 2014, the only way to pay for your Costco purchases was through cash or an American Express card. That all changed in Canada, when Costco and American Express ended their relationship. As of 2014, Costco’s banking partner will be Capital One, who issues Mastercards, instead of American Express cards. With the change of Costco’s financial relationship, the analysis of the best cards for people who shop at Costco has changed dramatically. Now, instead of requiring an American Express card to shop at Costco, Mastercard will be the only accepted payment at Costco, other than cash or debit. Many people use Costco for the bulk of their household purchases. For these people, the American Express card was used primarily. Others don’t carry an American Express card, and reluctantly pay using cash or debit cards. It’s important to understand which, if any credit cards, will give a bonus to spending at Costco. Unfortunately, every Mastercard will code the purchase at Costco as a “General / Warehouse.” There are no Canadian cards that will give any privileged bonus to spending in this category . Therefore, every card will be compared on its ability to earn in the “every purchase” or “non category” spending categories. I think there are a few different cards to consider as your Mastercard if you are interested in getting one. If you will spend a small amount of money on this Mastercard, say $500 / month, then you should look at one of the 2 cards I suggest in this category. This should come down to a debate between spending more on groceries and non-category spending (MBNA Smart Cash) vs spending more on restaurants (Capital One Platinum Costco). Since they both have no fee, you can get both or get one of them to target a certain category (Capital One Platinum for restaurants). 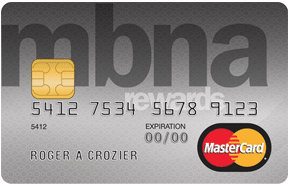 The MBNA Smart Cash Mastercard is my favorite fee-free card in Canada, as per our 2014 credit card rankings. For people looking for a no fee card that will work at Costco, I think this is the best card. This card earns rewards in the form of cashback and a cheque is automatically sent to you when your cash rewards balance hits $50. Cash rewards are earned at a rate of 2% on gas and groceries, and 1% on everything else, including Costco. 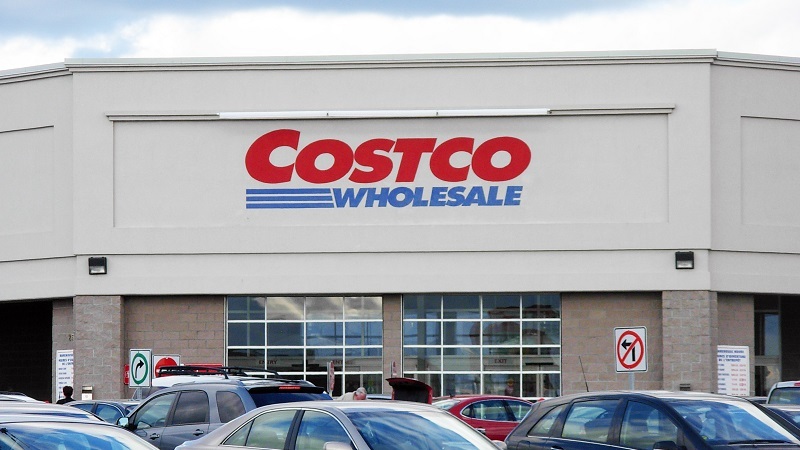 There are no other fee-free cards in Canada that will return more than 1% on Costco spending, so this is at least as good as any other no fee Mastercard in Canada. The great advantage with this card is that it privileges spending at gas and grocery stores up to $1500 / month. These are also the highest earning rates for fee-free cards in Canada. Your rewards are also automatically sent to you, in the form of a cheque, without you having to do anything. This is why this is my favorite fee-free card in Canada. Something to note, though is that if you are going to get any of the fee cards I suggest below, then this card will be completely useless to you. Every purchase will earn a greater return with a fee card than with the MBNA Smart Cash card. The Capital One Platinum Card is Capital One’s response to the now defunct American Express True Earnings card, which happened to be #3 in our 2014 rankings of no-fee cards in Canada. I actually think that the Capital One version is significantly better than that one on a side by side comparison. Although this card is a very good card, in its own right, I don’t think it is the best card for people who spend a lot at Costco. The earning rate is very good for restaurants and gas. In fact, the 3% return at restaurants is the best any (non-American Express) card will get at restaurants. For Costco purchases, however, this card returns either 0.5% or 1%, depending on how much you have spent in the year. While the $3000 of spending required to get to the 1% return is not “very high”, it should be noted that if you see this as a small amount of annual spend, then you likely will do do better with a higher tier card that gets a better return, and might be associated with an annual fee. If you do end up getting a fee card that I suggest below, then this card might be a nice compliment purely for restaurant purchases. This card will return 3% in restaurants, which might be more than a fee card will return for that purchase. If you are spending more than $500 / month on this card, it would be prudent to run the numbers to see if one of these cards are going to be your best bet. There are 3 cards that I feel are very equivalent in this category and all earn arguably close to 2% return on all purchases, with varying degrees of annual fees and effort required. In terms of your Costco spend, these will all be equal at something very close to 2% return. My thoughts are that each of these are equivalently good, and you can choose which makes the most sense for you, given your desire to pay an annual fee, and your desire to get flexibility in your returns. This is my personal favourite of the lot and what I personally carry. I like this one because it is simple and the returns come back to you the easiest. With the MBNA World Elite card, you can redeem your points in the form of cash for their full value, should you choose to do this. This card earns 2 pts / $ spent on all purchases. When redeemed for cash or a reimbursement for travel purchases made to the card, this earns a total of 2% cash back. The annual fee is $89, but waived in the first year and the signup bonus is $100 worth of points. Due to the simplicity, I think this is the best one for most people. I also use this as my basis for the “standard” return one can expect when comparing other cards. This card is very similar to the MBNA World Elite card. The only real difference is that your 2% return in points must be redeemed for travel that is booked through the BMO Rewards centre. You also get 4 lounge passes every year and higher levels of travel insurance and a higher sign up bonus of $300. For this, you pay $150 / year and the first year is currently not waived, although in the past this has been waived. Personally, I think this is a great card, especially if you value those lounge passes. When compared to the MBNA World Elite card, I think that the fact that your points must be redeemed at the BMO travel centre, makes them less valuable than the very flexibly points you earn with MBNA. In my experience with the BMO travel centre, I found the prices for a Toronto-Calgary flight were exactly the same at the BMO travel centre as Kayak and Expedia. There are people who have commented that the BMO travel centre might not have access to certain flights that other booking engines have. If you value lounge passes and insurance, and are ok with your points going towards travel on the major carriers (Air Canada, Delta, United, Westjet, American, British Airways etc.) then you will do well with this card. This is another card that earns arguably close to 2% return. This card should be considered one that has a lower annual fee (when factoring in the annual 10,000 point bonus), but that 2% and lower annual fee is contingent on you doing some legwork and redeeming your points in an efficient manner. You earn 2 pts / $ spent on this card on all purchases. The annual fee is $120, but each year you earn 10K points. If you can actually redeem your points for 1 cent each, that could be translated into a 2% return card, with a $20 annual fee. I think most people will not redeem their points for their best value. This requires some planning as I describe in the card review for this card here. The reason you need to do some legwork is that the tiers for redeeming your points are very big. It takes 35K points to redeem for any travel charge of between $150 – $350. If you redeem points for a travel charge of $349.99 then you get a 2% return with an annual fee of $20 ($120 less 10K points). If you redeem your points for a charge of $200, that will translate to a return of 1.1% on all purchases and an annual fee of $63 ($120 less $57 value of 10K points). If you are interested in getting this card, I strongly suggest reading the review of the card, and understanding how to extract value from this card. This card has a high “Gotcha!” factor and it is very easy for this card to end up being much much worse than the MBNA or BMO World Elite card described above. If you are willing to do some legwork then this card is a great card for you. I believe that most people will likely end up redeeming in such a way to yield a 1.7% – 1.8% return on all spending. The 3rd category of cards I believe someone might want to consider is the variable value travel points cards. Personally, I believe that most people will not see the best value coming from these cards. If this represents you, then I believe there are 2 Mastercards in Canada that are worth considering. It should be very highly noted that with these cards, more energy should be spent on redeeming the points efficiently. If you do not spend the energy to redeem these efficiently, then you are almost certain to get poor value from these cards. In the 2014 top card lists, I claimed this is the best travel points card in Canada. I would argue that if you have the desire to buy flights that Delta miles can buy you (Sky Team flights), this card is going to give you much more value than a fixed value card suggested above. 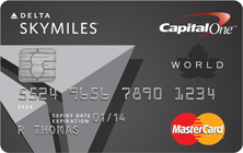 This card earns 2 Delta Skymiles / $ spent on all purchases, including Costco, and it comes with a $120 annual fee and a 25000 Delta Skymile sign up bonus. 2 Skymiles / $ spent is very generous as most credit cards offer 1 mile / $ spent. Personally, I value a Delta Skymile at a rate of about $0.0115 or so, but that is really only because redeeming them within North America is going to give you poor value. In fact, these can’t be used to buy any flights wholly within Canada. If, you are going to fly on Korean or Aerolineas Argentina, as I did recently, you can do very well. For 25K Delta miles, I was able to buy flights that would have cost me over $700. Backing out the math there, we get a return of 5.6% ($700 return on $12500 spent). If you redeem poorly, though, you could end up getting less than 1% return on your spending, which is what I believe most people will redeem for (flights within North America on Delta). On top of the generous earnings on every purchase, there is an annual bonus of 10,000 Skymiles if you spend $25000 each year. The value of that offsets the annual fee, if you are able to get decent value from your Skymiles. This is another one of my favorites for Canada. I think this card will primarily help people in Western Canada as I wrote about in answer to a reader question on flights between Vancouver and Portland. This card earns 1 Alaska Airlines mile / $ spent, but these are valuable miles. There is also the annual companion pass where a cardholder can book a companion on a certain type of paid ticket for only $100 + tax. This could be valuable for many people. 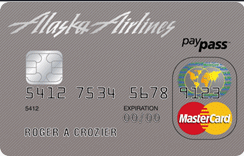 This card also gets you 25K Alaska miles as a sign up bonus, so it might be worth getting. If you are in the situation where you have to get a Mastercard for your Costco purchases, there are a few options. I have suggested a few based on your spending profile and preferences. 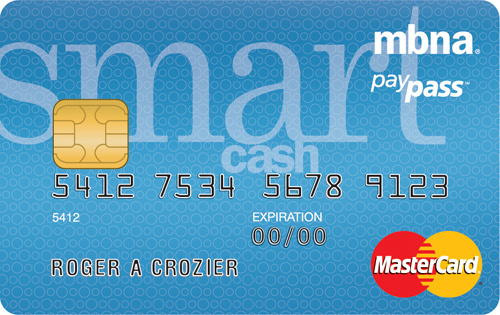 I do believe that the best cards for use at Costco would be the MBNA Smart Cash card, or one of the World Elite cards. The Capital One Costco card is a good card in it’s own right, for restaurant purchases, but there are better cards out there to use when shopping at Costco. According to information I read, people reported that you receive 2% on Costco Gas (1% everything else in Costco) with the MBNA Smart Card. Would you be able to verify that? So in terms of your Costco purchases, those are going to be coded as “general / warehouse” and earn only 1% on the Smart Cash. In terms of the Costco gas stations, that is something I am not sure about and through my personal experience. However, this thread indicates that Costco gas is coded as gas, but there is no defining evidence. Based on this thread, I would say that it probably will get 2% from MBNA Smart cash, but I really dont know. The Costco FAQ indicate that Costco gas will no longer accept amex, so that indicates that they are coded as Costco wholesale, which would not credit 2%. At this point, I dont know if there is any evidence either way. I also think that things might change on that front come january if Costco is changing paymetn processors. Pointster….one thing to keep in mind with Costco GAs is this. Have you ever wondered WHY they sell this product at 4-6 cents per litre less than anyone else..?? the Rason is that their fuel is mixed with 10% or greater methanol. If you were to fill up your tank, record your mileage …. then with a similar fill up use a regular gas station …. you ust might find that your overall mileage is significantly greater with buying normal fuel….check it out, I did and that is what we found. It is NO Deal and in fact methanol being an incredibly “dry” type of fuel, will do more damage to your motor than using straight unleaded. Costco is in the business of making money…not being philanthropists….their fuel success is simply slick marketing of an inferior product. A great store that I like to visit…but not everything they sell in bulk is a deal…in fact its often more expensive than say Wall Mart or other vendors. I’ve learned to watch their pricing closely. Propane however is by far the cheapest I have EVER seen anywhere…under $7 to fill 20 lb tank…hard to beat that. Don't subscribe All Replies to my comments Notify me of followup comments via e-mail. You can also <a href='https://www.creditwalk.ca/comment-subscriptions/?srp=3624&srk=2648578ecea05c83754707575dc5a494&sra=s&srsrc=f'>subscribe</a> without commenting.